As England were drawn into the same group as Italy for the 2014 World Cup, we look back on a meeting between the two sides which may have been forgotten by (erased from the memory of) many fans. Just 3 days after our cruel and emotional defeat to West Germany in the semi finals – Gazza’s tears, Lineker’s knowing look to the bench, Waddle’s penalty into row Z et al – England were denied a quick escape to the airport to lick their wounds, and forced to play in that game that no one wants to play : the third place play off. The game was an unsurprisingly anticlimactic affair, with both teams looking tired, forlorn and dreaming of an early night. 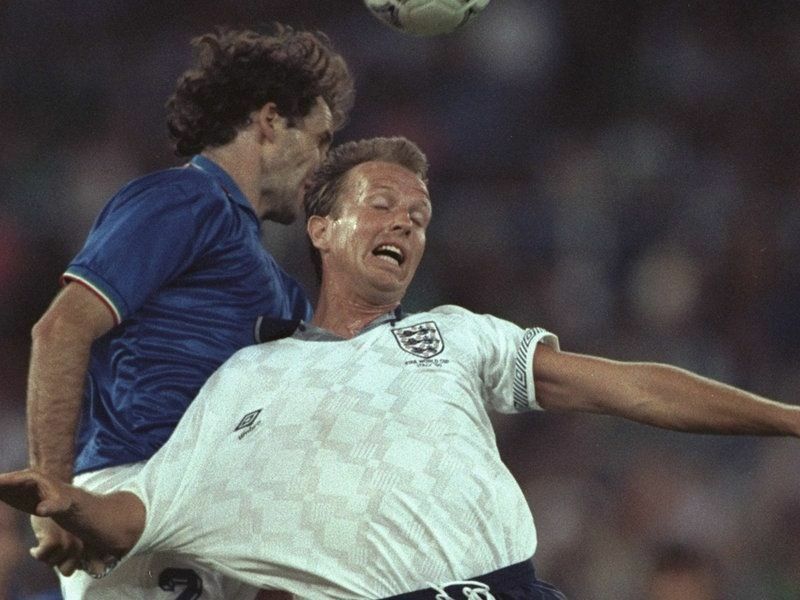 It was decided with a 3 goals in 15 minute salvo, as Italy came back from a David Platt opener to equalise through a young Roberto Baggio and finally grab a winner from the penalty spot in the 86th moment – converted by Toto Schillaci, a man who appeared from nowhere, grabbed the golden boot award, and then disappeared just as quickly. It’s not how England and Bobby Robson wanted to end their World Cup adventure, but it remains our greatest achievement since ’66. This entry was posted in The World Cup. Bookmark the permalink.